Fortuna coach Norbert Meier has plenty to smile about with his side unbeaten so far this season, without conceding a single goal. Munich - SpVgg Greuther Fürth go in search of their first home win in the Bundesliga against the only side yet to have conceded in the top flight, Fortuna Düsseldorf, while Schalke 04 and FSV Mainz 05 go into their clash at the Veltins Arena with mixed feelings. Greuther Fürth finished ahead of Fortuna Düsseldorf in Bundesliga 2 last season, but the situation has thus far reversed in the top flight. Although Fürth have picked up four points on their travels, their form inside the Trolli Arena has left a lot to be desired with two straight defeats. Coach Mike Bueskens hopes that will be rectified tomorrow night. "The atmosphere at our first two home games was electrifying and it gave the lads additionaly motivation," he said. "We need the fans to get behind the team and give them their support. We want to crown the point we got in Wolfsburg with a win at home." 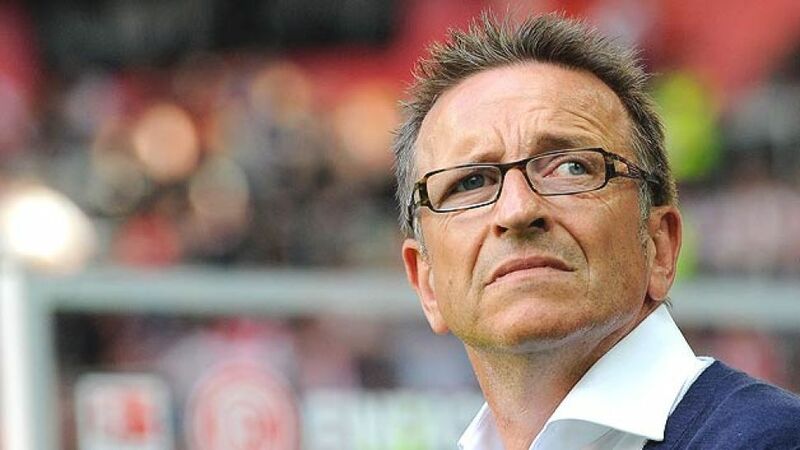 Düsseldorf, meanwhile, have hit the ground running without a single defeat to their name yet. Norbert Meier's side have not conceded a goal either this season, a record they will be willing to defend in Bavaria. "The team deserve a compliment for the way they are working," said Meier. "But of course we know we still have a lot to improve." With the defence looking so water tight, Meier was most probably referring to his attack, although he has ruled out a change in his side's tactical outlook. "If we start playing crazy football, then our inferiority will just become clearer," he added. Schalke's 2-0 defeat at home to FC Bayern Munich at the weekend was a rude awakening as the dreams of a maiden Bundesliga title were starting to resurface in Gelsenkirchen. "It is very bitter, very disappointing," said their director of sport Horst Heldt. The Royal Blues will now start all over again trying to build up another head of steam after Saturday's disappointment. "We want to show the fans who the real Schalke are," said coach Huub Stevens ahead of Tuesday's visit of Mainz to the Veltins Arena. "Thanks to the midweek match, we have the chance to celebrate a victory again quickly." Mainz arrive in confident mood, which is a far cry from the way they were feeling only a few days ago. A 2-0 victory over FC Augsburg was their first win since April, and "a huge relief", according to their coach Thomas Tuchel. "We are delighted because the game meant so much to us all and we are pleased to have won it." Those three points give Mainz nothing tangible to take with them to Gelsenkirchen, but the mental lift it gives them is priceless. "It does not make things any easier for us," admitted Tuchel. "But we take with us a much better feeling to Schalke."